American Car Collector Magazine has everything you need to know about collecting, investing, values and trends of the classic american car. Buy a single copy or subscription to American Car Collector magazine. Launched in September 2014 every issue will be filled with descriptions, photos and ratings of some of the top American made cars. Every car collector enthusiast needs to read this magazine to keep themself informed and on their game. 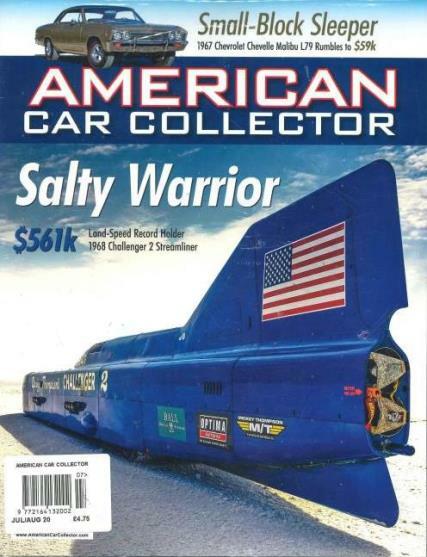 Buy a single issue today from Unique Magazines to check out what all the fuss is about, or Subscribe to American Car Collector Magazine to make sure you never miss an issue.